From its early stories of gods, monsters, and mischievous mythical creatures to its more grounded recountings of historical events, this classic collection of the first literary efforts of the Japanese people is the preeminent source of knowledge about Japanese antiquity. 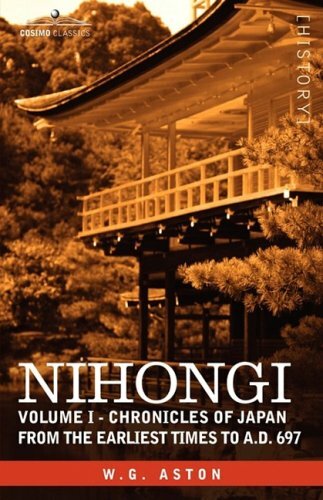 First published in this translation in 1896, includes a history of the Shinto, variations on the basic myths and legends of the nation, and insight into the manners and customs of the early Japanese. Students of folklore and comparative religion as well as those of Japanese history will find this two-volume work an invaluable resource. British Japanologist and diplomat WILLIAM GEORGE ASTON (1841–1911) was one of the first Europeans to acquire a working understanding of the Japanese language. He served in Japan and Korea in a variety of diplomatic posts, and authored, among other works, Shinto: The Way of the Gods and A History of Japanese Literature.